Dr. Daniel Levin offers caring OBGYN and wellness solutions that enhance women’s lives by delivering outstanding, personalized, and friendly care. His passion for medicine is reflected in his modern and holistic approach to health care. Originally from Israel, Dr. Levin was raised in a family of medical doctors including his father, an OBGYN for over 40 years. He graduated with honors from the University of Vienna in Austria and completed his residency training at the University of Illinois in Chicago before relocating to Miami over a decade ago. Dr. Levin is board certified by the American Board of Obstetrics and Gynecology and a fellow of the American College of Obstetricians and Gynecologists (FACOG). He is also certified to practice in the European Union and Israel. 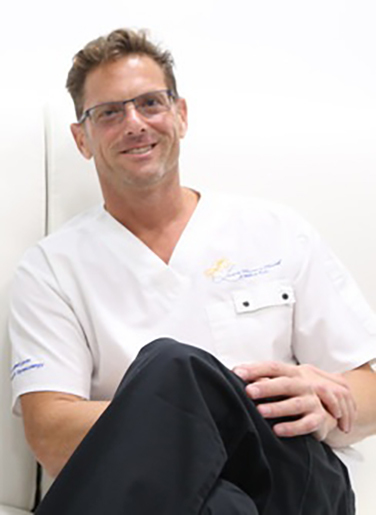 Previously, he has practiced at the University Hospital of Vienna, Austria; Beilinson Hospital in Tel Aviv, Israel; Hoffman Estates Hospital in Chicago, Illinois; and Jackson-Hinds Health Center in Jackson, Mississippi. Dr. Levin is proud to offer his OBGYN services to patients in the Miami area who speak English, French, German, Hungarian, and Hebrew. Dr. Levin provides his patients with customized care supported by the most sophisticated technical means, from preventive and holistic methods to highly specialized medicine. He understands that every woman is an individual with her own unique needs and strives to provide personalized health care you can count on, while making sure that you understand every step of your treatment plan and what to expect. To schedule an appointment with Dr. Levin, call Levin’s Women’s Health & Wellness Center in North Miami, Florida today at (305) 981-0231 or you can request an appointment online.